Sky Attack’s Japanese name is literally “God Bird,” hence the title. Yokosuka Safari Zone event’s Global Challenge yields Moltres with the charged move Sky Attack, available exclusively on September 8 for 3 hours. Upon its reveal, the community breathed a sigh of relief - thank goodness, it’s a useless move! On a Pokemon with only Fire-type moves, Sky Attack doesn’t seem to fit in. This article’s goal is to convince you otherwise. We commonly categorize Pokemon in their attacking role by what type of moves they use. This is convenient because we know, for example, that a Fire-type attacker is effective against Grass, Bug, Ice, and Steel-type targets. It’s best to have an attacker’s fast and charged move be of the same type so that they are both super effective against the same targets. Flying’s effectiveness profile is against Grass, Bug, and Fighting-type targets. There is overlap with Fire against Grass and Bug. 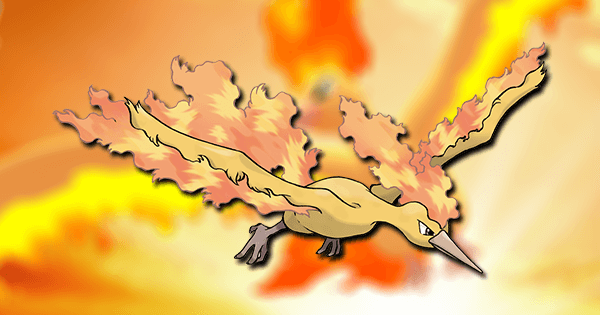 As Sky Attack is strictly superior to Overheat, Moltres’s best Fire charged move, Sky Attack Moltres becomes the best attacker into Grass and Bug Pokemon. This is further complemented by Moltres’s double resistance to both of those types. A caveat, however, is that Sky Attack is not boosted in clear weather. When the sun shines bright, Moltres prefers to have Overheat. 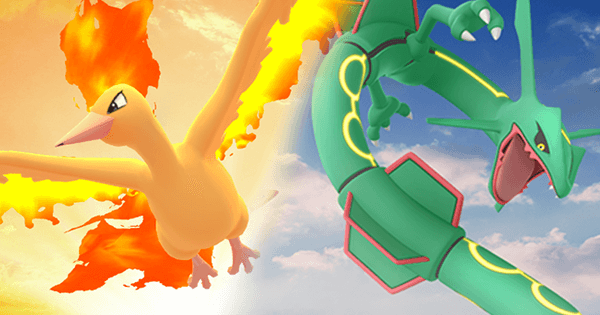 The Flying-type’s top representation in Pokemon GO is thus far limited to Rayquaza, who falls short of its full potential due to an underwhelming moveset. 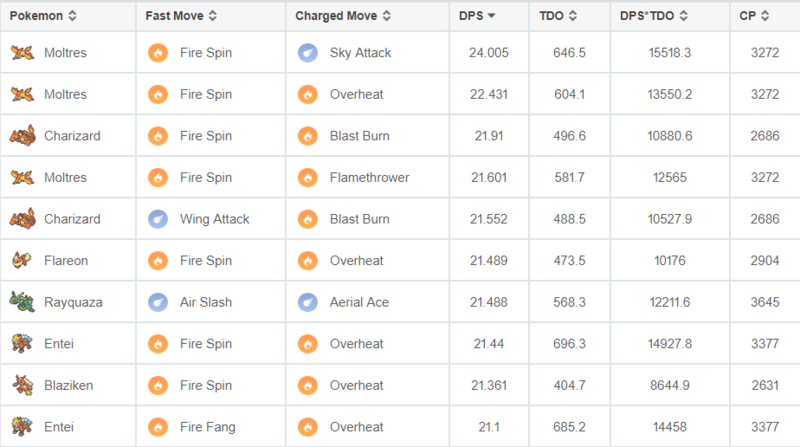 Sky Attack puts Moltres in this top echelon of attackers, with DPS against Pokemon weak to Flying-type just below that of Rayquaza! A clear weather boost, common in many locales, pushes Moltres to the #1 spot. 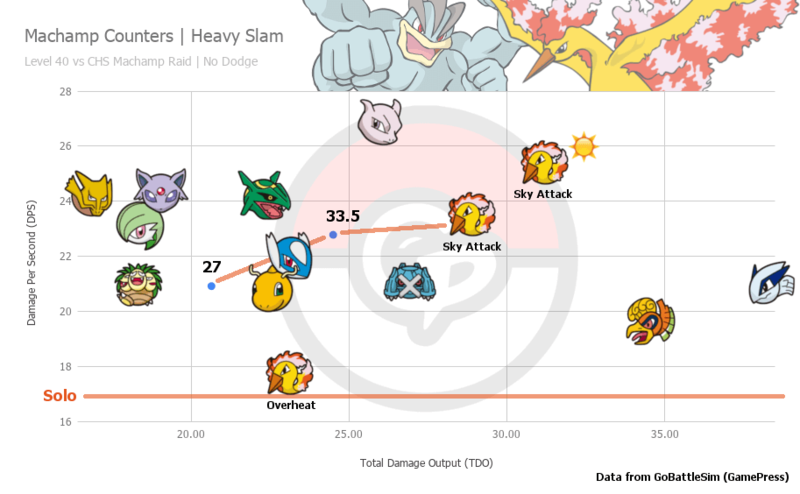 Sky Attack Moltres achieves prominence in the enduring Machamp raid, with the 5th highest DPS of all counters (2nd highest in clear weather). It’s the only top counter to resist all of Machamp’s moves, including Steel moves that often pose a problem to players relying on Espeon, Alakazam, or Gardevoir for the solo. While Overheat Moltres was previously regarded to be a good gym generalist, Sky Attack patches up some flaws that it had in this role. 1-bar charged moves are often overkill when used against defenders not at full motivation. Sky Attack literally splits Overheat’s power and duration into 2 parts, leading to less wasted energy and damage. Of the top generalists, only Moltres has a move boosted in a common weather. 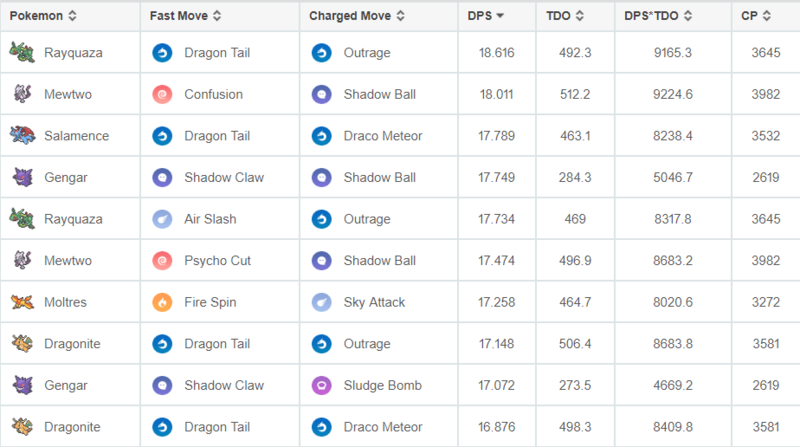 In clear weather, Sky Attack Moltres eclipses Rayquaza in DPS and even outperforms all variants of Entei. 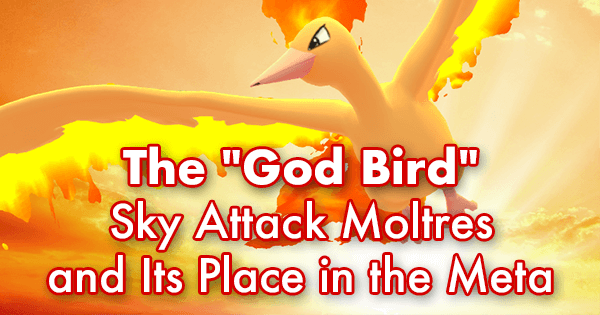 In competitive gym scenes where Fairy-type defenders may thwart Machamp and Dragon types, Sky Attack Moltres is a superior counter, benefiting from neutral coverage and Fairy resistance. 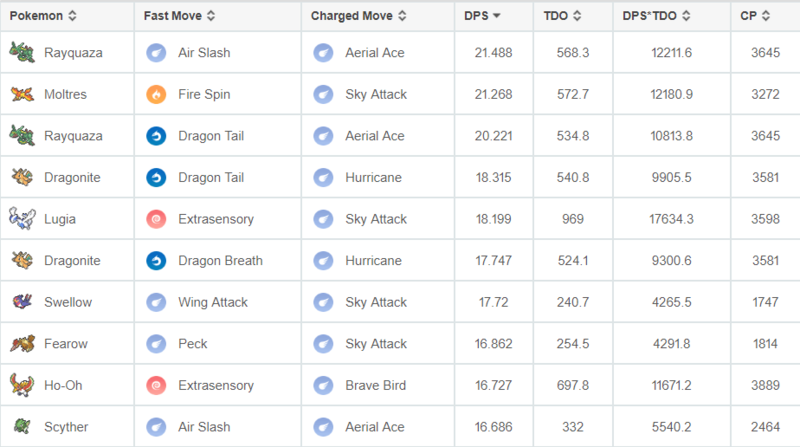 The addition of Sky Attack to Moltres’s movepool is set to make it the 2nd best Flying attacker in the game, with a conditional rise to 1st in a fairly common weather type. There’s overlap with its previous role as a Fire-type attacker against Grass and Bug targets, although classic Overheat Moltres is better at melting down Ice and Steel. Sky Attack Moltres has immediate utility as a top Machamp counter, and the flexibility provided by Sky Attack’s 2 bars makes it superior to Overheat for gym combat. On the other hand, Flying is not slated to be effective against any legendary raid boss until gen 5, and gen 4 can produce potentially strong non-legendary Flying attackers in Honchkrow, Staraptor, and Togekiss. The spectre of Heatran, a gen 4 legendary, threatens to outclass all Fire-types to date, including Moltres. Strangely enough, Sky Attack may be what Moltres needs to stay relevant in the face of its future competition.